If you ever wanted to commit a crime, you could come to my house and be pretty assured that any evidence of said crime would be well hidden within the confines of the mess that is my beloved home. Just saying. 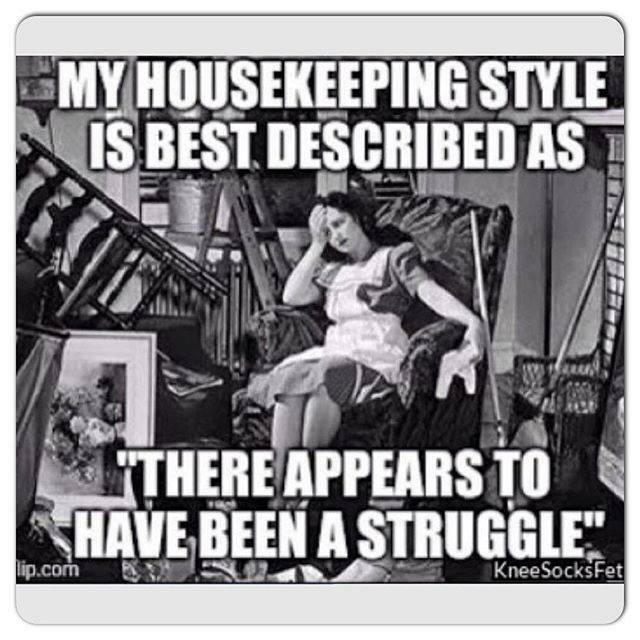 This entry was posted in Everyday Musings and tagged cleaning, family, fun, funny phrases, home, home life, humor, just for fun, life, musings, observations. Bookmark the permalink. LOL Come on it can’t be that bad …Can’t it? It’s probably more so in my head than in real life (I’m completely obsessive when it comes to neatness), but the books! It’s a VERY small house and I just have books everywhere. It looks like a library exploded in my house. I blame the cats. They don’t seem to mind.